December Preview: Observer, Little Dragons Café & more! With the cold spreading through our body, it's the perfect time of the year to cuddle up in front of the computer and warm up to the radiating heat. What better way to spend than with these HOT upcoming releases? >observer_ - What would you do if your fears were hacked? Play as the new front line of neural police as you hack into the jagged minds of the insane. Fairy Fencer F Advent Dark Force - As you unwittingly become a pawn in an age-old battle, which deity will you awaken with the power of your weapon? Zwei: The Arges Adventure - Two step-siblings take on a quest for cash and glory in this, originally Japanese-only, JRPG by masters of the genre, Nihon Falcom. 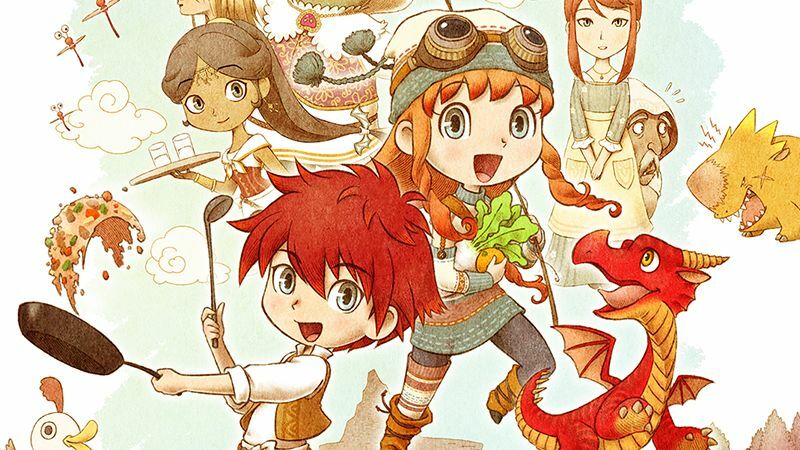 Little Dragons Café - When your mother mysteriously won't wake up, it's up to you and your sibling to run her small café... and raise a dragon to save her?! Inside My Radio - Journey as a green LED mysteriously trapped inside a dying boombox: bring electro, dub and disco music back alive! Are you up to the rhythmic challenge?